Celebrating the Christmas break with loved ones is important. Every year when Christmas rolls around, there are increased numbers of people taking to the roads to travel and visit family and friends. Because of the increased numbers of people on the roads, there is also an increase in the risk of accidents when driving. Adding to this is all the Christmas parties and various end of year celebrations – where some people think hopping into the car after a few beers seems like a reasonable thing to do. In Queensland and across Australia, drink driving and driver fatigue is a huge factor – with over one in five drivers and riders killed on the roads exceeding the legal BAC (blood alcohol concentration) limit. Considering how much we all know about the dangers of drunk driving and driver fatigue, it’s astounding that people still drink drive and drive tired. Now, while you might not be the type of person who thinks drink driving is a good idea, you’re going to be sharing the road with people who might. So, you need to be doubly aware of the potential risks on the road this silly season. How important is your seat belt? Well, let me tell you some facts about seat belts. In the modern car seat belts are designed to stretch at a certain rate so when the air bag is deployed they give you a cushioning effect for minimal impact to the steering wheel. So a seatbelt could potentially save your life. So if you decide not to wear a seat belt, firstly you’re most likely going to get a hefty fine, but moreover, you could be risking your life as the air bag will deploy and in most cases this will cause serious injury to yourself or others. So many fatalities can be prevented by people wearing seatbelts, so make sure that your seat belts are fastened at all times. That they are not damaged in any way, and are in new condition at all times. Make sure that the buckle is good order this means when you insert the seat belt to the buckle that there is a positive connection. Children restraints are in good order and they are secured as per the manufactures instruction and product guide. (Child restraint points are secure and Australian Design Approved). Air Bag check light is off. Ah, you’re running late, again. It’s very tempting to adjust your speed just a little bit, however many studies completed show that speed does kill, so don’t risk it this Christmas. Speeding is a huge factor in road fatalities, with around one-third of all fatalities being caused by speeding drivers. Death or injury – at any time of the year – is obviously a catastrophic and terrible thing for the people involved. Don’t be another statistic, be safe on our roads your family needs you. Often over the holiday period you will be driving on unfamiliar roads and sometimes on country roads. If this is the case, be aware that the road conditions might not be the same as your local roads. As such, you need to be aware of pot holes, rough surfaces, single lane roads, unmarked lanes, rail road crossings, livestock wandering onto the road and various other hazards. Be aware and keep an eye out on the road. When you’re setting off on a road trip to a new destination, it’s a good idea to have a plan. Consult a map and plan where you’re going to stop and be sure to pack snacks and games to keep kids occupied if you’re making a long trip. It is always a great idea to keep some water accessible to the driver so that they can keep hydrated throughout the trip. It is proven that if you plan to stop every 3 hours you can reduce driver fatigue considerable, so let’s plan our trip this Christmas. This one seems like a bit of a no-brainer, but consider this scenario. It’s late on Christmas Day afternoon, the kids are grizzly and you’re just saying goodbye to your extended family as you set off on the two-hour drive home. You had a couple of light beers earlier with lunch, the beers combined with sitting in the hot sun all day, has left you feeling a bit tired. You drink some water and set off, even though you feel a bit fuzzy. You’d love not to have to drive right now, but everyone needs to get home. Often, we don’t choose to drive tired, but the circumstances demand it of us. Whether you’re placing unrealistic pressures on yourself to drive, or you feel like you don’t have any other option – fatigue can kill. So if you feel like you aren’t right to drive, take rest before you head off, just to refresh the batteries. Don’t be a statistic this Christmas. Be safe this Christmas and enjoy the Christmas festive season. Whether it’s the weather conditions or just heavy traffic, make sure you’re driving to suit the roads you’re on. Ensure a safe following distance and make an effort to be extra vigilant for the safety of your own family/car passengers and other people on the roads. If you’re travelling during storms, know flash flooding can occur. Remember the slogan: “if it’s flooded, forget it.” There’s almost always another way around flooding or unsafe conditions – so even if it adds more time onto your journey, don’t risk it. Take the safe route. Most Caravans, trailers and campers sit all year round until we make the decision to head of on our holiday. 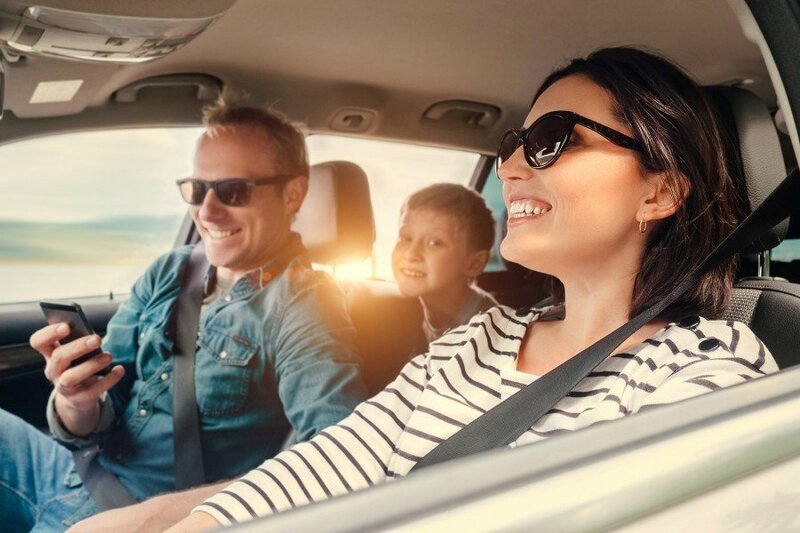 We At Auto Giant recommend that a regular service is a sure way of making sure that everything is in order and working safely as you hit the road this holiday season. If you need some tips, just give us a call at Auto Giant for some professional advice. There is a lot going on over the festive season. We get it! But just because you’re stressed out about Christmas doesn’t mean that you should blow off steam by cursing at a fellow driver, or by driving aggressively. Maintain using the left lane for regular driving and the right lanes for passing traffic, use indicators for 15 seconds in advance to show other traffic your intentions to change lanes, look beyond the vehicle in front of you for accidents and slowing traffic, if you can see traffic is stopped ahead pump your brake pedal so your stops lights are flashing this will alert the driver behind you to slow down so this doesn’t cause a rear end accident. We At Auto Giant promote safe driving to keep you safe this Christmas.